Follow the following steps daily. Isha Allah all the hurdles and obstacles will be removed and you will get married soon. 6) Then pray to Allah Ta'ala for removing the obstacles. Insha Allah you will succeed. Note: Women during menstruation must not read the Quranic ayat - sureh Talha. Once can recite the isme paak. Ramadan 2019 Timetable - Sehri and Iftari Timings 2019 for India - Mumbai, Delhi, Bangalore, Hyderabad and surroundings. Get the information on Ramadan Timings 2019 with Sehri and Iftar fasting schedule for 2019. Ramadan will start from May 7, 2019 - Tuesday in India and ends on June 4, 2019 - Tuesday. This may change as per lunar calendar as it depends on sighting of the moon. 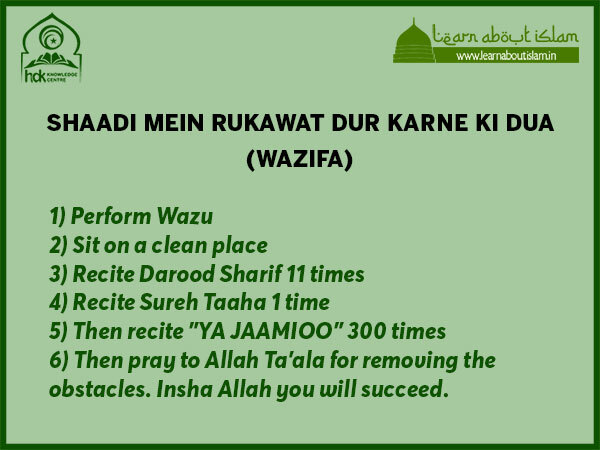 (Taraweeh Salat starts from 6th May 2019 and first Roza from 7th May 2018). Eid ul Fitr Namaz will be celebrated on 5th June 2019 depending on the sighting of Moon and Shariat. Note: Please verify from your local mosque for exact timings. 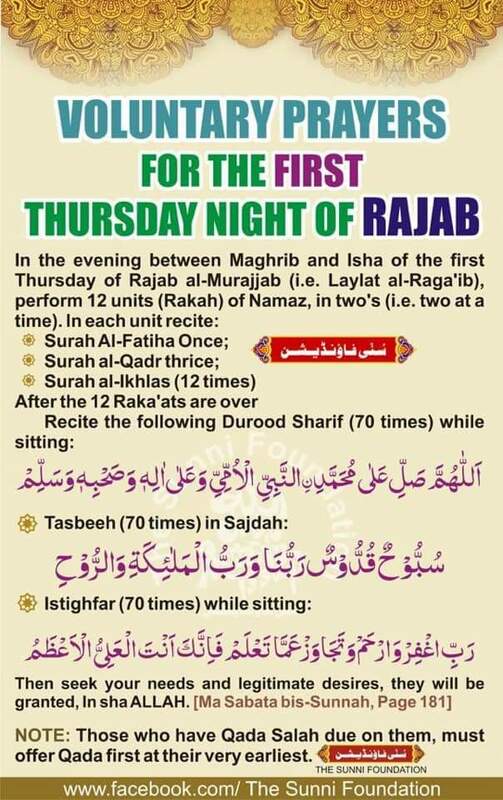 Whai is first Thursday of Rajab? 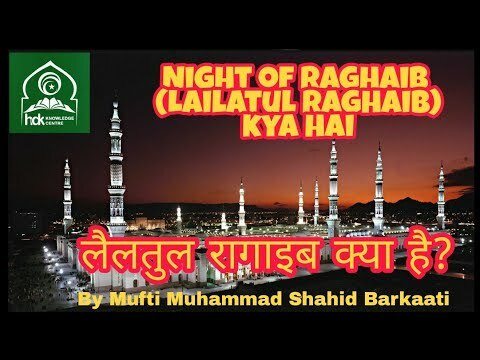 What is Night of #Raghaib or Lailatul Raghaib.? 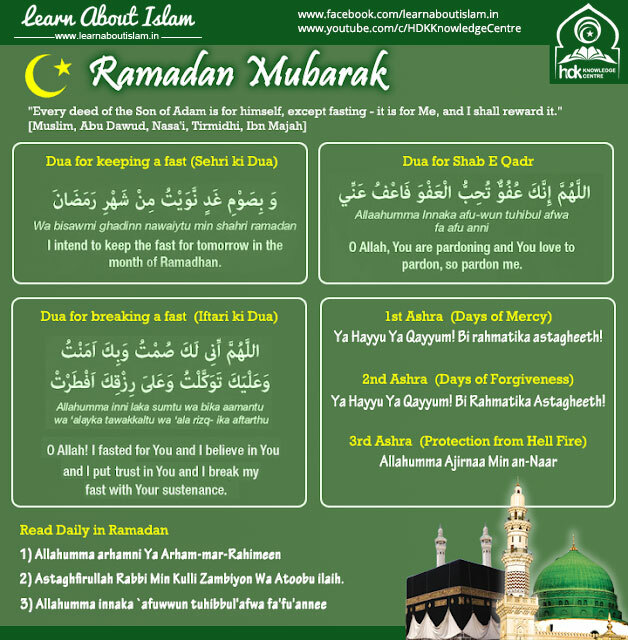 What are the namaz, salat and ibadats of this day?